What Gadgets Do You Use For Grilling? Memorial Day is the first major patriotic holiday of the summer that demands grilling. You may use it as rare motivation to down some dogs and crack open a watermelon. You may interpret it as a directive to commence infinite cook outs. At Gizmodo we're pretty big on grilling, because it's hallowed ground at the intersection of delicious food and awesomely superfluous gadgets. Really. The list is vast. 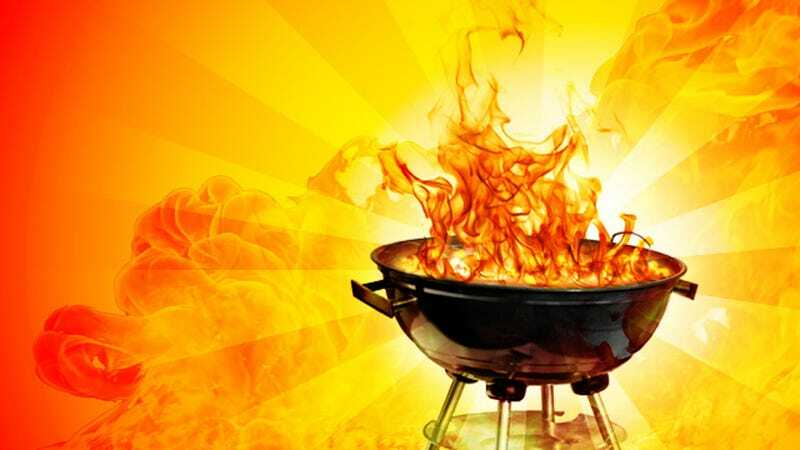 What's your favorite gadget for grilling? Do you value simplicity or novelty? Let the meat rest below.